← Do your children play Call of Duty, even though they’re underage? WHATEVER brought about this recent revival of the humble cupcake, it has left me with mixed feelings. On the one hand, I have a simple and usually enjoyable half-hour activity beloved by all the kids which usually results in something vaguely edible. On the other, I’m eating way too much cake. There’s also the competition. No longer can you get away with producing a plain fairy cake, perhaps embellished with a spot of buttercream or jam and some ‘wings’ gouged out of the top. No, now it’s all muffin cases and three inches of pink icing, topped off with chocolate whirls and silver baubles. Or fancy hand-crafted decorations, fashioned as if by real tiny fairies, and delicately placed like artwork atop a light sponge scented with lavender and lemon zest. Bonnie, aged two, isn’t so fussy. 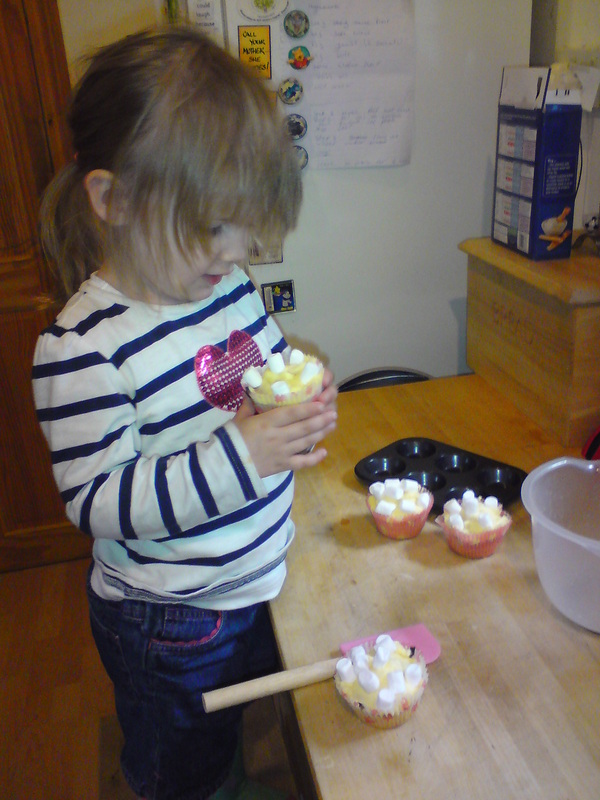 She’s happy just to play with cake mix and scoff any sweeties that might be destined for the topping. The only part she’s not interested in is actually eating the cakes. Well, someone’s gotta do it. . .